Though the arts of the manuscript book constitute one of the most vital forms of artistic creativity and practice within the Islamic world, they have received relatively little attention within the general field of manuscript studies in Europe and America. This course provides an introduction to the history of Islamic manuscripts and the constituent arts of calligraphy, illumination, illustration and binding from the origins of Islam in the seventh century through the early modern period (sixteenth and seventeenth centuries), encompassing the full range of historical cultures (Arab, Persian, Turkish and Indian). Within a chronological framework, course topics include: the codicology of Islamic manuscripts (materials and techniques); issues of text, style, iconography, meaning and aesthetics; and the human dimension of manuscript production (collaboration between artists of diverse crafts in a workshop setting, the role of patrons in supporting the bookmaking enterprise over the centuries). The course will be taught primarily through the rich (and little-known) collection of Islamic manuscripts at the Free Library of Philadelphia, with a field trip to Princeton University. In their application statements, students should describe the extent of their general background in manuscript studies and give their reasons for wishing to take this course. Some familiarity with Islamic history and culture is desirable, though it is not a course prerequisite. Please note: the tuition for this course is $1,495 owing to the expenses associated with the scheduled field trip. Marianna Shreve Simpson teaches this course at the Free Library of Philadelphia. Marianna Shreve Simpson taught this course at the Walters Art Museum in Baltimore. Marianna Shreve Simpson is a Visiting Scholar at the University of Pennsylvania, Philadelphia, and has published, taught and lectured widely on medieval and early modern Islamic art in general and the arts of the book (especially Persian illustrated manuscripts) in particular. From 1980 to 1992 she helped direct the Center for Advanced Study in the Visual Arts at the National Gallery of Art, and from 1992 to 1995 served as Curator of Islamic Near Eastern Art at the Freer Gallery of Art and Arthur M. Sackler Gallery, Smithsonian Institution. From 1995 to 2000 she was Director of Curatorial Affairs and Curator of Islamic Art at the Walters Art Gallery (now Walters Art Museum) in Baltimore and continued her affiliation with the museum as Visiting Curator of Islamic Art (through October 2001) and Senior Consultant for the Islamic Manuscript Digitization Project (2009–2010). In recent years she also has served as a consultant for the Doris Duke Foundation for Islamic Art, the Andrew W. Mellon Foundation, and the Aga Khan Trust for Culture, and as President of the Historians of Islamic Art Association (2011–2013) and Guest Curator at the Princeton University Art Museum. 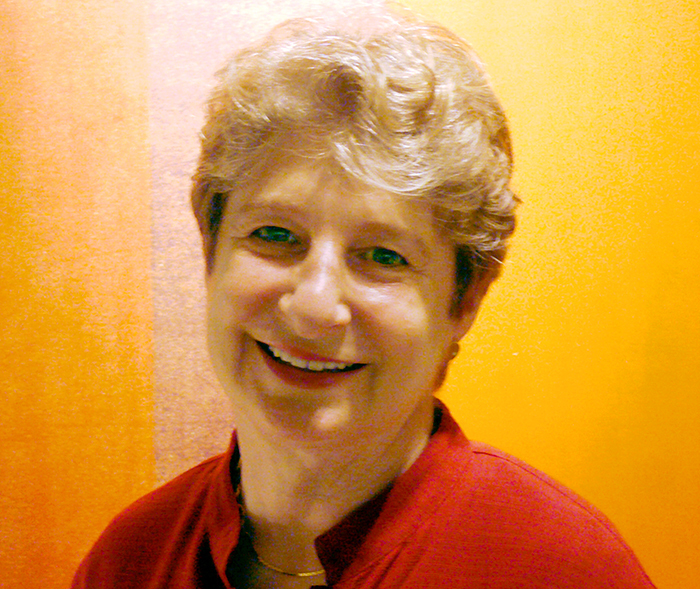 She has taught as a visiting faculty member at: University of California, Los Angeles; Georgetown University; Princeton University; Johns Hopkins University; University of Maryland, College Park; University of Michigan, Ann Arbor; Maryland Institute College of Art; University of Pennsylvania; Bard Graduate Center, New York, and the University of Delaware. Recent awards include: Paul Mellon Senior Fellowship, Center for Advanced Study in the Visual Arts, National Gallery of Art; Collaborative Research Award, Getty Grant Program; Senior Fellowship, National Endowment for the Humanities; Membership, School of Historical Studies, Institute for Advanced Study, Princeton. Her books include Princeton’s Great Book of Kings: The Peck Shahnama (Princeton University Art Museum, 2015), Persian Poetry, Painting, and Patronage: Illustrations in a Sixteenth-Century Masterpiece (Yale University Press and Freer Gallery of Art, 1998), and Sultan Ibrahim Mirza’s “Haft Awrang“: A Princely Manuscript from Sixteenth-Century Iran (Yale University Press and Freer Gallery of Art, 1997).